When dealing with legal matters, it’s sometimes difficult to know at what point to look for a legal expert to handle your case. For those who are comfortable with legal knowledge and negotiating for themselves, it may be possible to self-represent. However, there are always risks that one takes when representing themselves. For most all cases, there comes a point when it is best to step back, and let an expert help you out. 1. You Have Little to No Legal Knowledge: It’s no secret that legal matters can be quite complex. If you’re trying to represent yourself without knowing much about the law, it can be easy to misstep and end up losing your case. If you’re working with little to no legal knowledge, it is wise to consult with an attorney about your case before moving forward. 2. You Feel You’re Not Getting What You Should: If you feel like you’re getting the run around by insurance companies and/or other parties involved, it’s time to bring in an expert to manage your case. 3. You Don’t Have a Lot of Time: Dealing with a lawsuit can be incredibly time-consuming. It involves collecting and organizing paperwork from several sources, creating documents, and many other small details that may get overlooked if it’s done in a rush. An expert law firm will have the necessary support staff to efficiently handle all of your case materials, and should be considered for those who don’t have the time to represent themselves in a case. 4. You’re Not Sure if You Have a Case: It’s not uncommon for people to be unsure if they even have a case, or how to pursue it if they do. 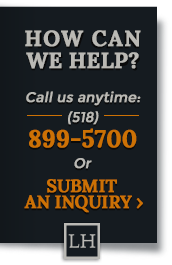 If you’re unsure whether or not you have a workers’ compensation case, contact the experts at Lemire & Higgins today.